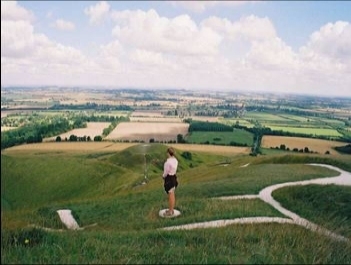 The Uffington prehistoric area in Oxfordshire consists of the oldest chalk-cut figure of a horse, which many researchers agree is a stylised Dragon, Dragon Hill, where legend says St George slays a Dragon, Uffington Castle a large Iron Age Hillfort and Wayland Smithy, a Neolithic chambered long barrow. Our research indicates that this whole complex was an important ceremonial place of the dead constructed over the centuries by an ancient tribe, now long forgotten, who worshipped the northern stars. 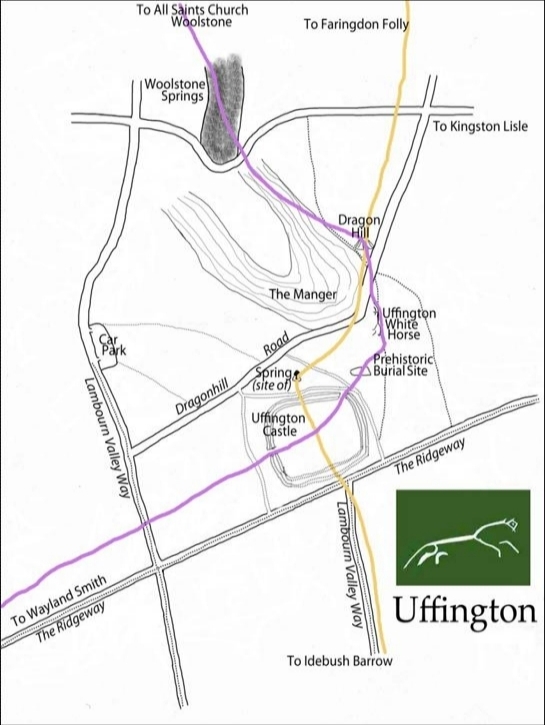 The Michael and Mary dragon lines target the Uffington Complex but as they approach they swerve around it, the female passing just to the north and the male to the south. 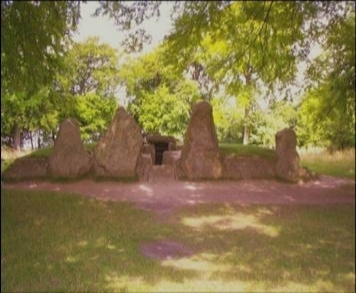 Millar and Broadhurst believe this behaviour was not to avoid the sacred site but to encompass it. The Belinus and Elen currents cross twice here highlighting the importance of this enigmatic site on the prehistoric Ridgeway.